High-accuracy combustion analyzer systems for engine research, development and optimization and development and testing of ignition systems, exhaust systems, and valve control gear. DIRECT RPM SENSOR CONNECTION: The system allows direct connection of any RPM sensor. E.g. InCar (e.g. 60-2), Encoder, CDM+Trg. SYNCRONISED CAN ACQUISITION: 1 CAN 2.0b port is available for direct and synchronized high-speed CAN acquisition. 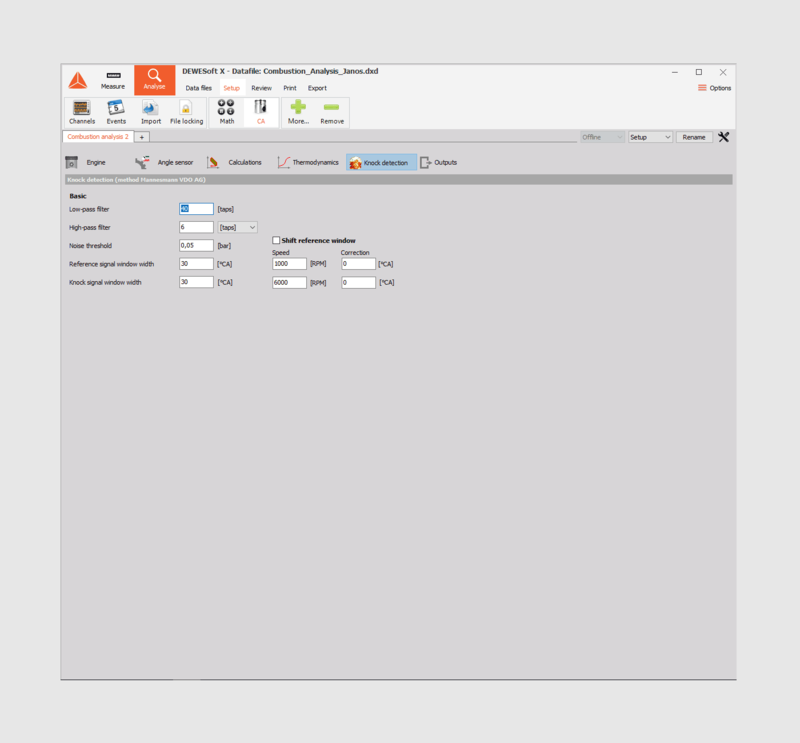 The Dewesoft X software offers additional support for OBDII, J1939 and CAN DBC files for easy channel configuration. HIGH-SPEED: high-speed analog amplifiers with 16-bit ADC and 1 MS/second/channel sampling rate, ideal for combustion analysis on the high-speed engines. HIGH-DYNAMIC: SIRIUS high dynamic, 160 dB amplifiers with dual 24-bit ADC and 200 kS/second/channel sampling rate, ideal for combustion analysis on low RPM diesel engines. EXPANDABLE: The system can be easily expanded to hundreds of analog, counter and CAN channels at any time, without any additional software license costs. TEST-BED AND INCA INTEGRATION: The system can send combustion analysis results to the testbed via AK-protocol or to ETAS INCA and similar systems via CAN. The testbed is supported additional plugin. SYNCHRONIZED ACQUISITION OF MULTIPLE SOURCES: Additional synchronized acquisition of other sources is possible within the same system CAN, OBDII, J1939, FlexRay, XCP/CCP, Video, etc. 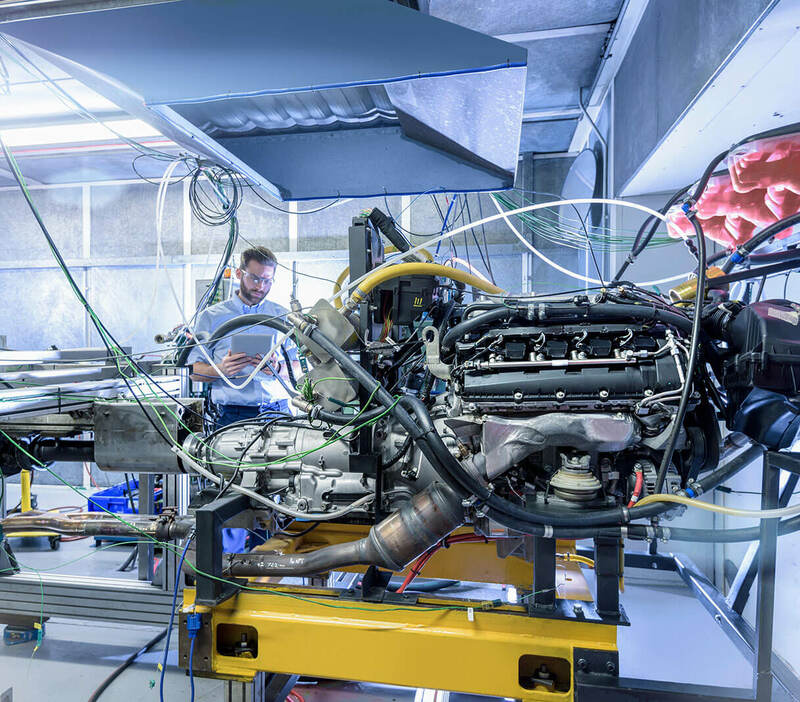 Dewesoft provides a total solution for engine research, development, optimization and also for component development and testing, such as ignition systems, exhaust systems, and valve control gear. 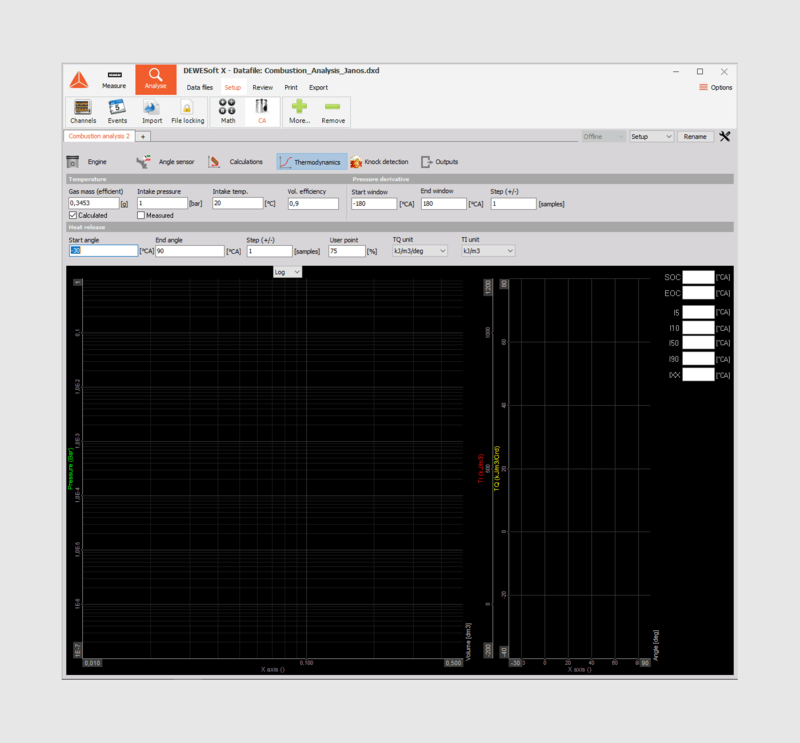 High-end isolated SIRIUS DAQ hardware and the award-winning Dewesoft X software offer easy to use measurement and analysis. 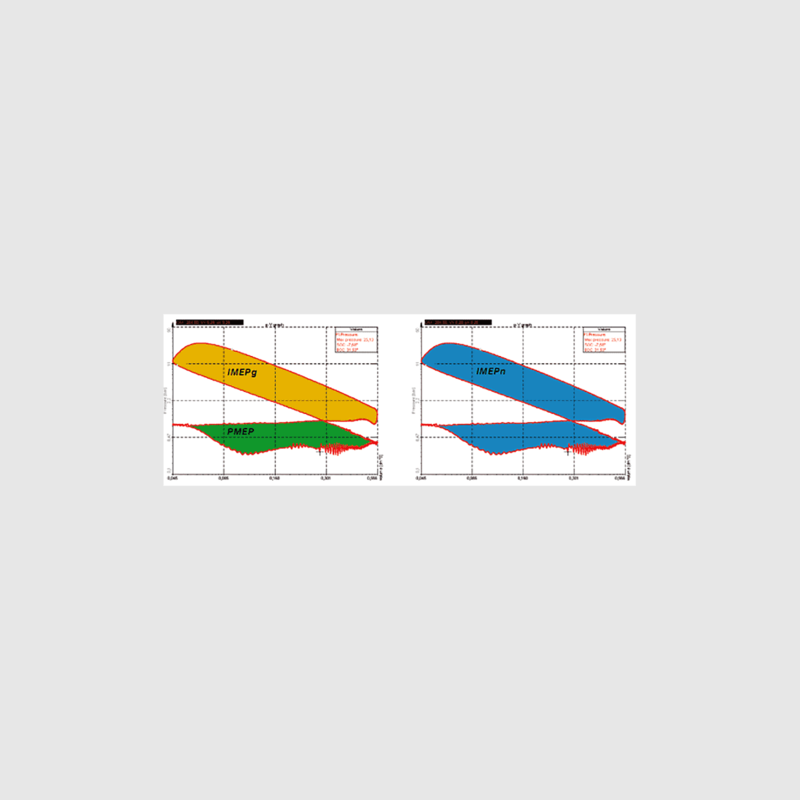 The system supports angle and time-based measurement and uses highly sophisticated algorithms for online or offline mathematics and statistics to calculate heat release and other thermodynamic parameters. The combustion analyzer system can either be used in-car (via the INCATM interface) or it can be fully integrated into a test-bed environment. Additional synchronized acquisition from other data sources like video, GPS, CAN, FlexRay, XCP/CCP, Ethernet, can easily be combined. 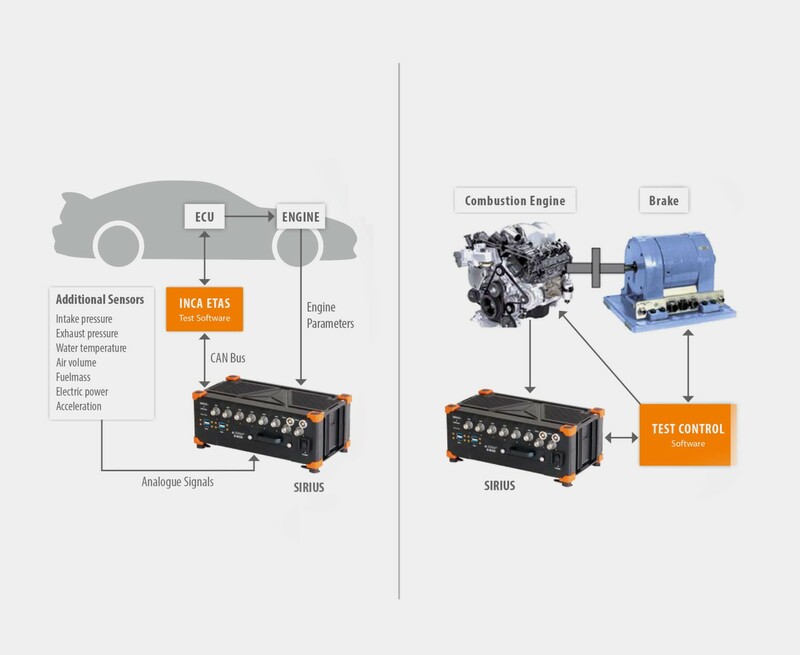 In addition to combustion analysis, the same system can be used to combine other measurement applications such as hybrid vehicle testing on the powertrain, noise, and vibration measurement, all with perfect synchronization. For testing under the real conditions, the combustion analyzer is perfectly suited for in-car testing applications. The combination of different supported interfaces like CAN, XCP/CCP, FlexRay, any direct connection of any sensor allows acquisition of all relevant data together with the combustion cycle. 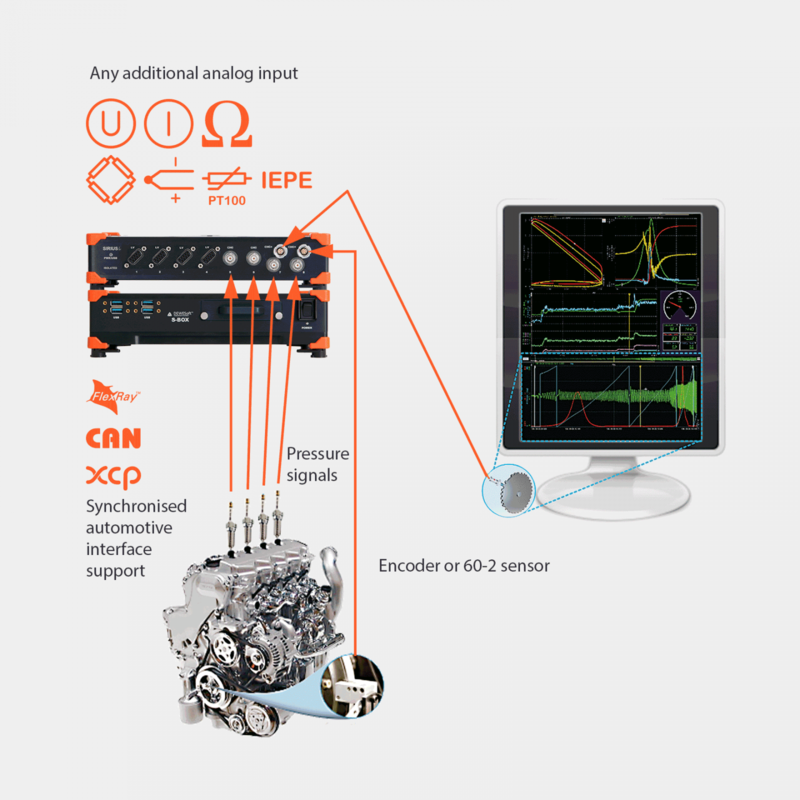 The combination with INCATM via CAN interface offers a complete solution for the ECU calibration. On the engine testbed, a combustion analyzer is a standard tool to calculate and visualize relevant physical parameters from the combustion engine and to monitor and protect the unit under the test. Different communication protocols to the control room are supported via Ethernet or RS-232 interfaces - e.g. Tornado, AVL PUMA Open. Analog output channels are of course also available. The combustion analyzer system can be used on all types of combustion engines, such as car, truck, ship, motorcycle, power-saw, etc. 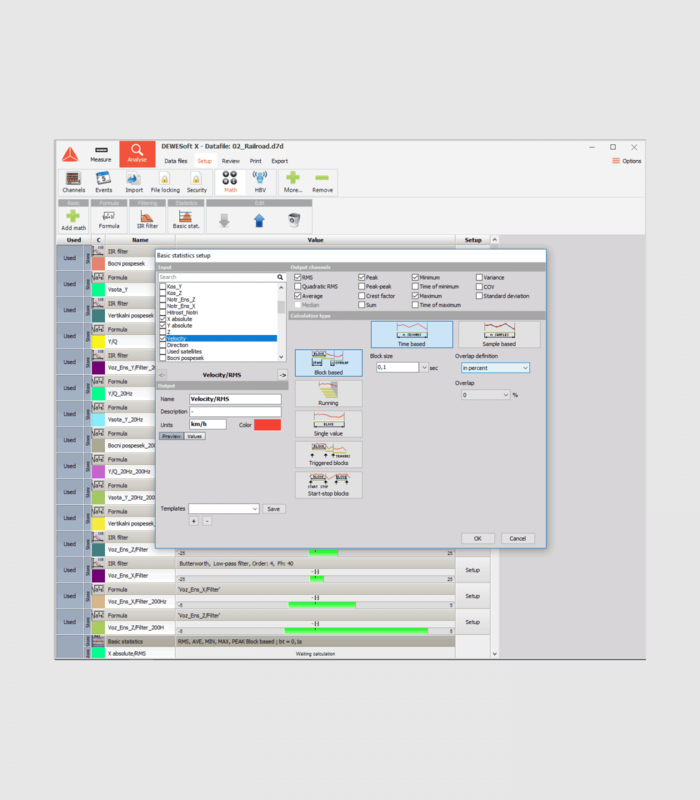 The award-winning Dewesoft X software offers easy and very intuitive configuration process. Simply define the engine type with the number of cylinders and its geometrical parameters and you are ready to measure. 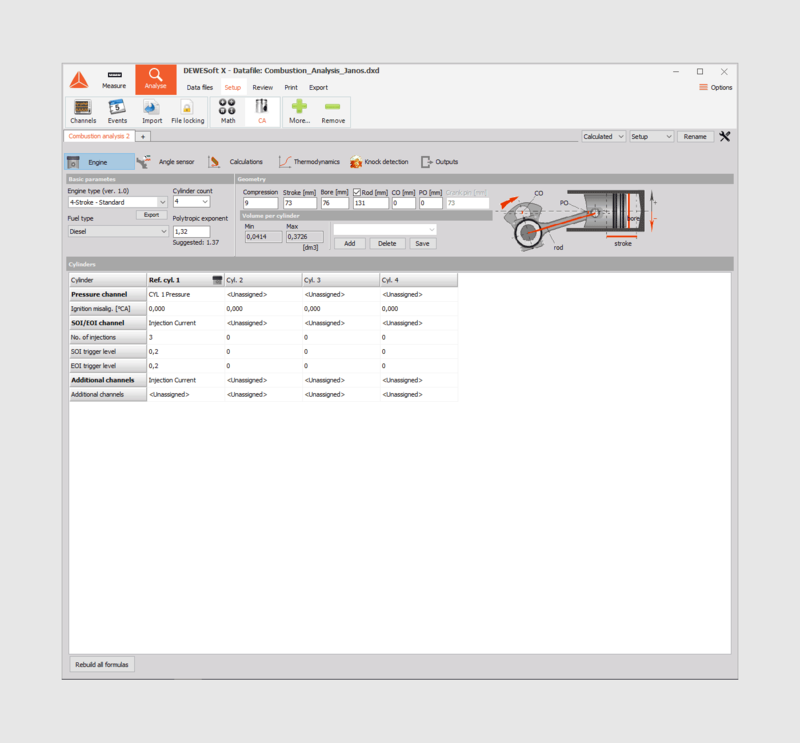 The cylinder menu offers a selection of the analog channel for each cylinder and allows you to define the alignment of the cylinder angles. 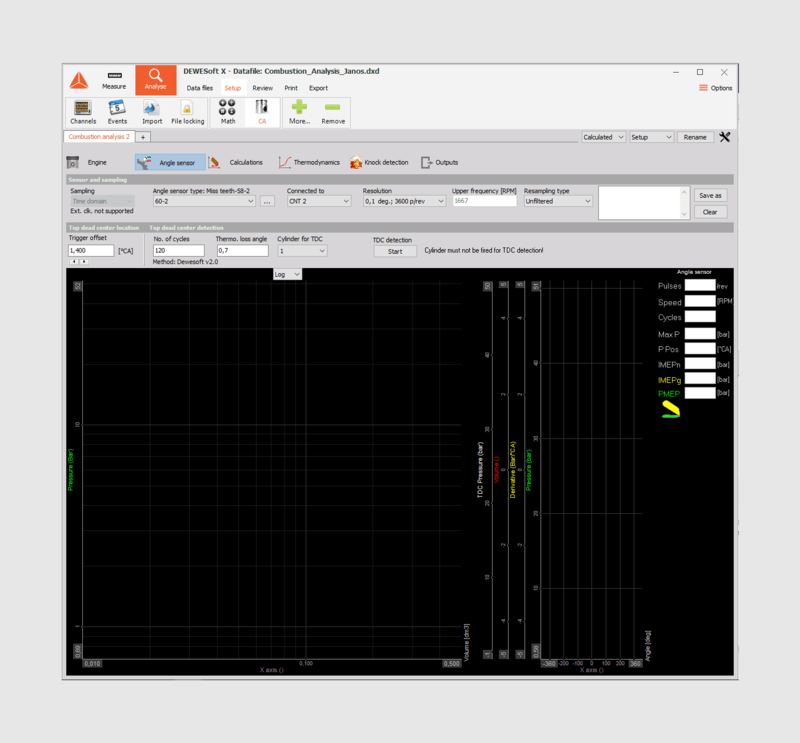 In the engine setup section, additional injection channels and channels for transforming any input channel to angle based measurement can be selected. The last step is to select the angle sensor type and define the desired output resolution (down to 0.1°). The TDC (Top Dead Centre) can be detected automatically, without firing, using the maximum pressure level or optionally with a dedicated TDC sensor. When the configuration is complete you can select your desired calculation outputs. Overall or running-average, derivation, temperature, heat release, work, power are just some of the available possibilities. 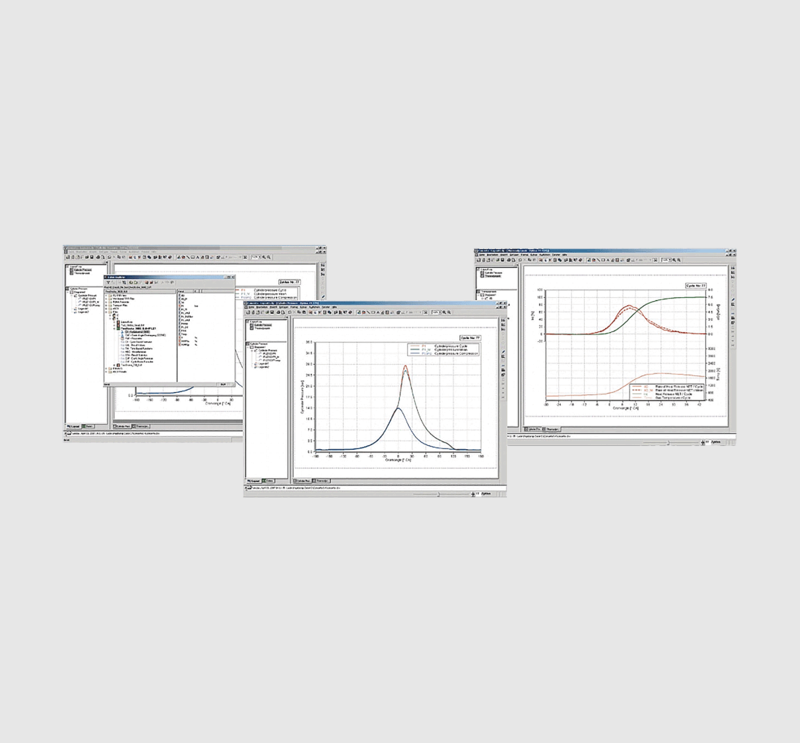 The online heat release calculates the energy for each cycle and its related parameters. Another calculation is the exact angular progression (5, 10, 50 or 90%) of the energy. The SOC (start of combustion) and EOC (end of combustion) are calculated. All these values are based on the heat release algorithm. The software displays all these values as well as the relevant mean values like IMEPg, PMEP, and IMEPn. All the parameters can be visualized online in a graphical or in numerical view. Knocking on spark-ignition internal combustion engines occur when combustion of the air and fuel mixture do not start off correctly. 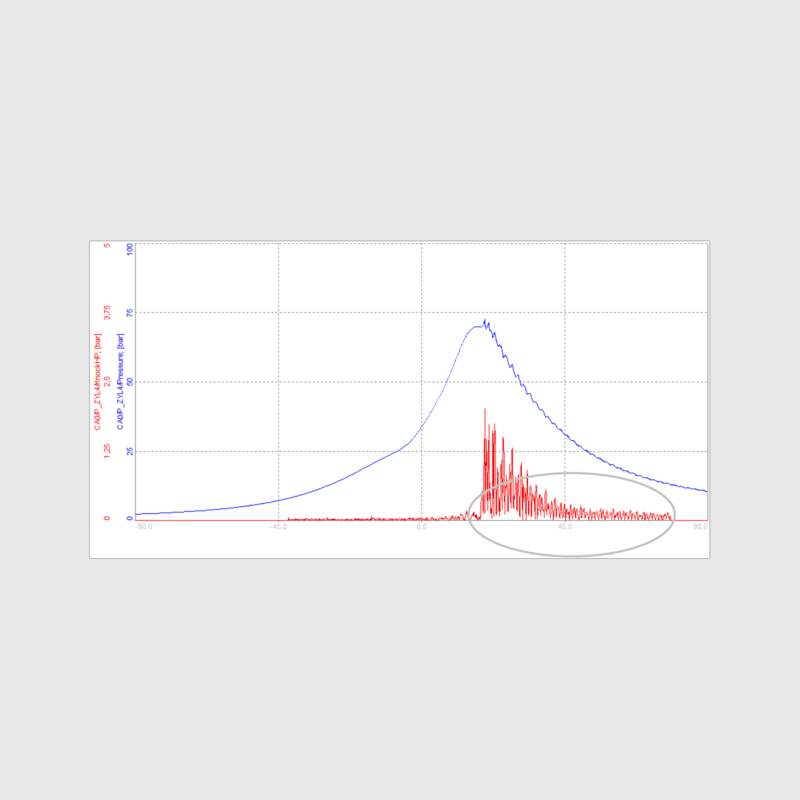 The robust knocking detection algorithm is based on comparing the signal before and after the TDC. The combustion noise option allows the measurement of the noise level caused by an internal combustion engine during operation. The combustion noise must be calculated in the time domain. First, the value is scaled from bar to Pascal. 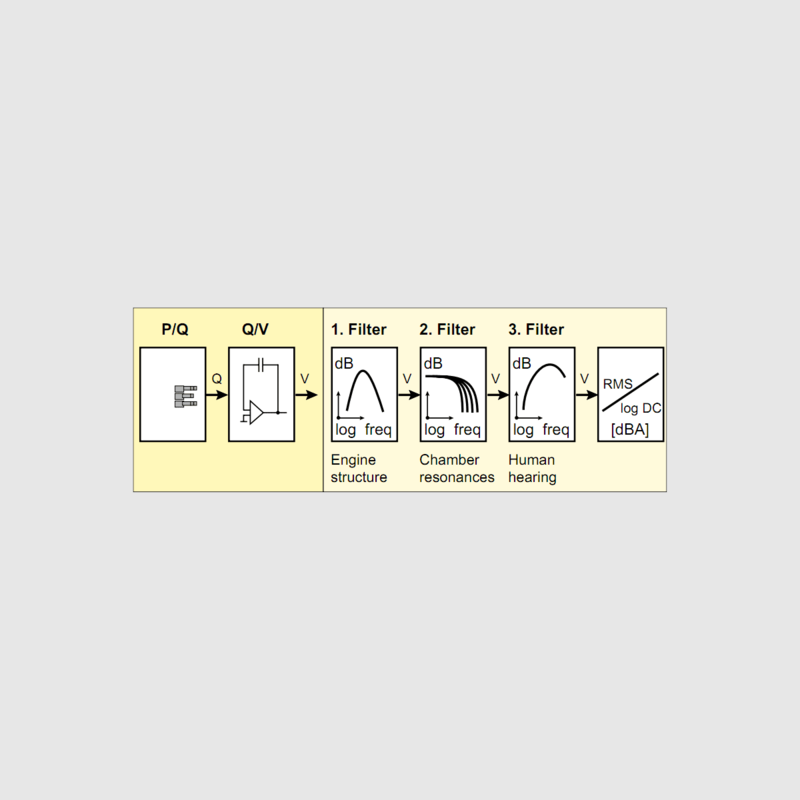 This is followed by the U-filter, which simulates the transfer function of the engine (1. and 2. filter in the overview). Calculated values may be used for optimization or other automated procedures. RAW data from sensors will always be stored and stayed intact. See Dewesoft X analysis for more information. Most of the calculated parameters are available as cylinder and engine averaged results. 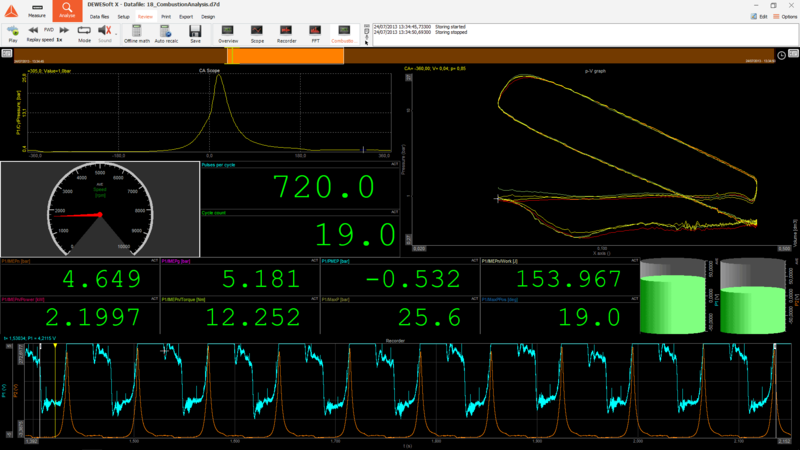 Since all the RAW data from the sensors is stored in the data file you can apply all the mathematics easily later in post-processing.This allows delaying CPU intense calculations until after the measurement has finished. 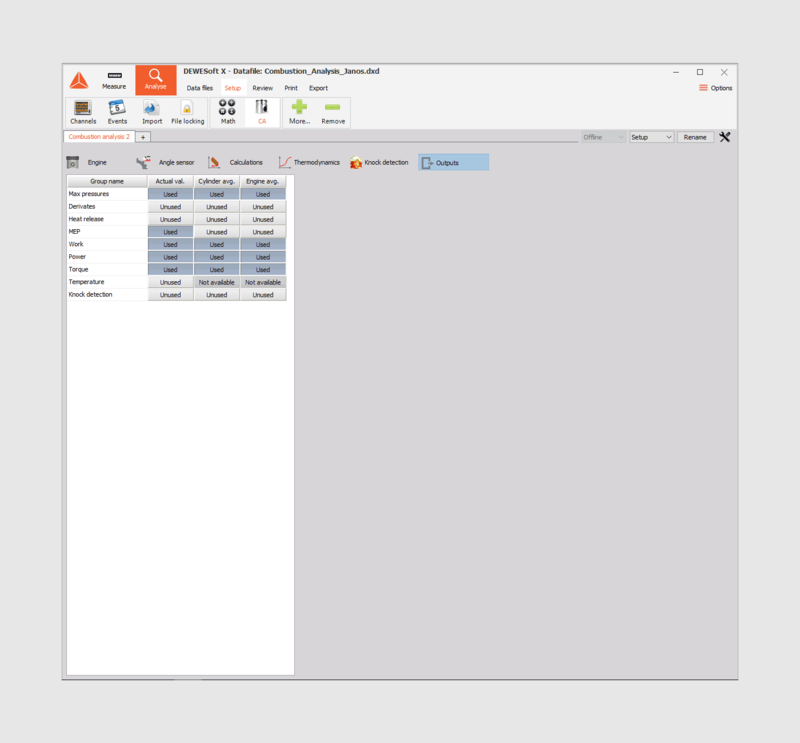 The stored data can easily be export to a variety of formats compatible with today‘s most popular analysis software package like FlexPro®, MATLAB®, Excel®, AVL CONCERTOTM and many more. You can even export the whole measurement view to an AVI video file to create dynamic documentation or print a PDF report. The data file can be viewed and analyzed on as many computers as needed without the need to purchase any additional software license form us. You can also distribute the data file outside of your company (e.g your customers) and anyone can view, reply and apply additional analysis. Simply let them download Dewesoft X software and open the shared data file.